Thousands of homeowners and families have added residential solar to their homes across the District of Columbia. This has been made possible by the numerous solar installers, solar financing, and other solar companies in the market. DCSV is unique - we are not just another company providing a similar, existing solar solution. Our offering is designed to make the adoption of residential solar easier and more accessible to all DC homeowners. Only DCSV provides you with a simple, efficient way to get a free residential solar system. Homeowners who have the capital for the upfront payment required for an outright purchase of a residential solar system should pursue that option - as the outright purchase of a system is the most financially advantageous for homeowners. DCSV's objective is to make solar and ownership of solar systems accessible to those who do not want to make a large upfront payment or be subject to a series of monthly principal and interest payments - all while enjoying the benefits of free solar electricity. 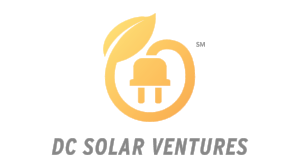 DCSV's offering enables D.C. homeowners to own a solar system and the generated electricity at no net, out-of-pocket cost.